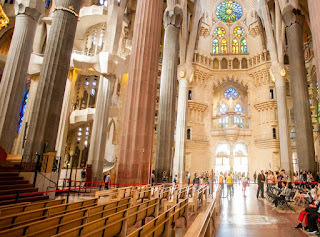 No matter how many days you have in this spectacular city of Spain, you need to see this symbolic art of work, La Sagrada Familia in your travel. As we have written much at our post previously, La Sagrada Familia best known as an unfinished project of Catalan architecture but what is new about this amazing and magical basilica that it will be completed by the year of 2026 which is centenary of Gaudi's death. Here below how it will look when it's completed in 2026. What is more the raising of new six towers will make La Sagrada Familia Basilica the tallest building in Europe with its 172.5 height. The tower of Christ will be crowned by a cross at its highest point and the other five ones will be dedicated to Virgin Mary and the four apostles. 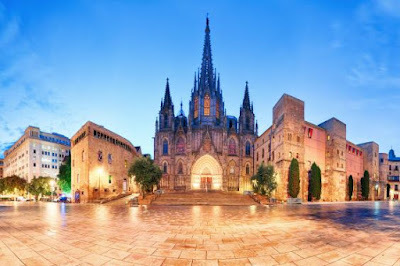 You can read about Gaudi and this amazing basilica at our previous posts. Don't forget to write your comments if you La Sagrada Familia. Enjoy your Barcelona city guide.